Educational Qualification: 4 years Engineering Degree in Computer Science/Computer Applications/Information Technology/Electronics/ Electronics & Telecommunications /Electronics & Communication /Electronics & Instrumentation. Educational Qualification: 4 years Engineering Degree in Computer Science/Computer Applications/Information Technology/Electronics/ Electronics & Telecommunications/Electronics & Communication/Electronics & Instrumentation. 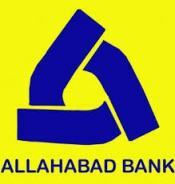 How to apply: Candidates to go to the "Recruitment Link under Career Section" on the Bank’s website www.allahabadbank.in and click on Direct Recruitment of 92 Specialist Officers 2019-20 and then click on the option “APPLY ONLINE” which will direct you to online application form. Candidates can apply only online from 09.04.2019 to 29.04.2019 and no other mode of application will be accepted.